Are you looking for a custom made sign? We can create the exact one made to your specifications with our CNC router. NOLA Sign Shop prides itself on a few main priorities that we believe keep our customers happy and our product looking amazing. These things would benefit every business. We know that treating our customers well from start to finish is vital, and we also choose to use the highest quality material and best equipment. One of NOLA Sign Shop’s amazing professional sign shop services is CNC Routing. 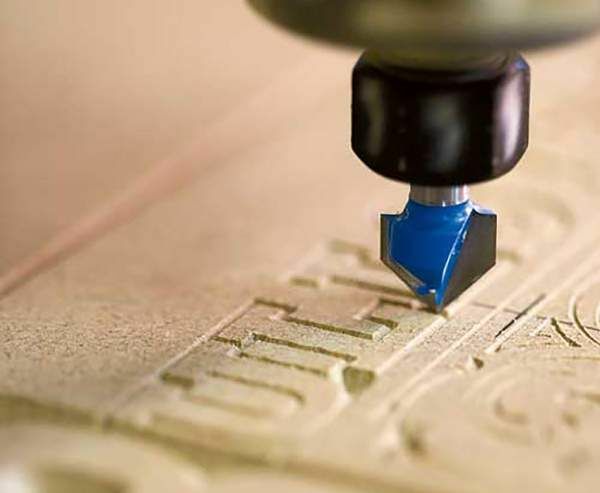 We provide our customers CNC Custom Services, which means if you can design it, or better yet just think it, we can create it for you on our in-shop CNC router. Our CNC Custom Services include Custom Shape CNC routing, CNC wood routing, Aluminum CNC routing, and much more. Whatever the material, whatever the design, NOLA Sign Shop has the right tools for any job. We believe in creating a quality product that is exactly what the customer ordered. With the use of advanced computer numerical control (CNC), we use digital software to create an exact replication of your submitted design. No matter what material, style, or design you are looking for, NOLA Sign Shop can offer you exactly the right fit. We specialize in Aluminum CNC Routing, CNC Wood Routing, or any material you need to create the exact Custom Shape CNC Routing you need. A team of experienced sign makers constitutes the group of professionals working for you when you hire NOLA Sign Shop and take advantage of our excellent CNC Custom Services. We believe in our customer service, and we know that the work we do is made to exactly the right specifications. Let us get started on your project for your New Orleans Area business today! Call NOLA Sign Shop at 504-434-0843 to learn more about our New Orleans CNC Custom Services – or you can e-mail us at nolasignshop@gmail.com.